PCOS wreaks havoc on hormonal balance, which often results in long, irregular cycles and unpredictable patterns of ovulation. 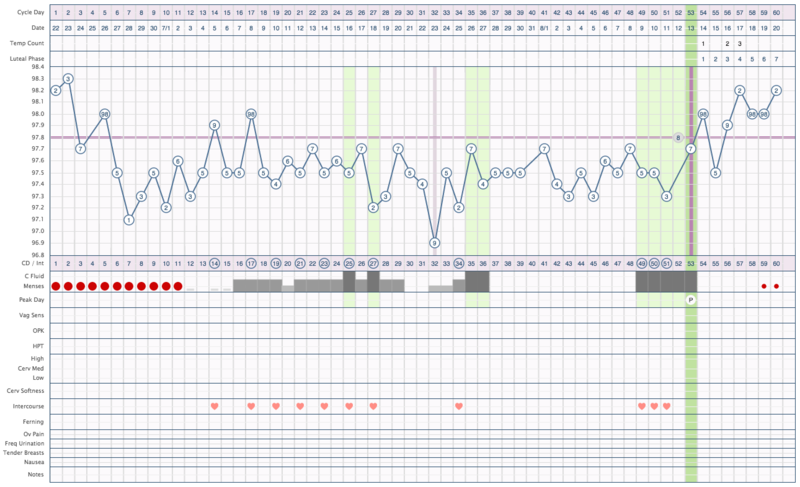 As you review the charts here in the PCOS chart gallery, you will see how PCOS can make it difficult to interpret fertility signs, due to erratic temperatures and/or patches of egg-white cervical fluid. Read more about EWCF for days!